Ellipses: Alumni Works in 3D is the second biennial juried alumni exhibition to be held in the Bakalar Gallery at Massachusetts College of Art and Design. 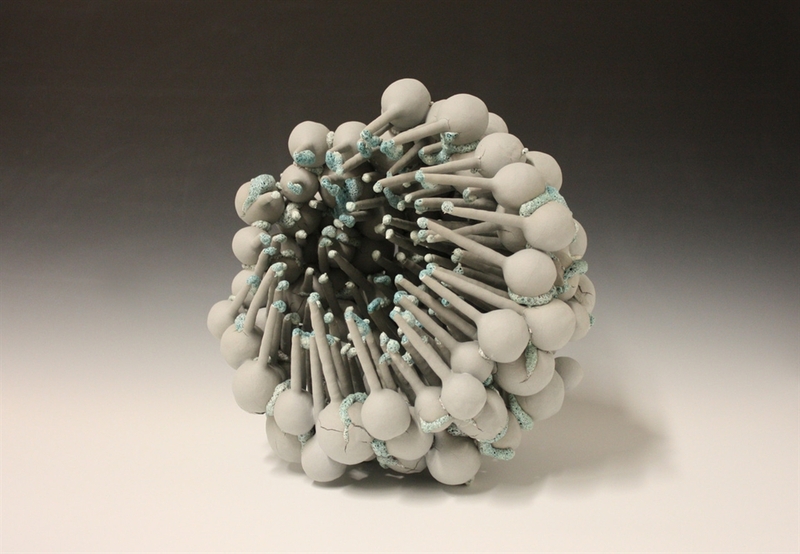 Showcasing the breadth of talent and excellence embodied by MassArt's alumni, Ellipses features the work of 25 artists working in a range of three-dimensional disciplines-including sculpture, glass, site-specific installation, ceramics, fibers, and more. MassArt was honored to have Dan Dailey, Professor Emeritus and founder of the Glass Department at Massachusetts College of Art and Design; Chris Rifkin, Founding Chair of CRAFTBOSTON; and Emily Zilber, Museum of Fine Arts, Boston's first Ronald L. and Anita C. Wornick Curator of Contemporary Decorative Arts; to serve as our selection committee.